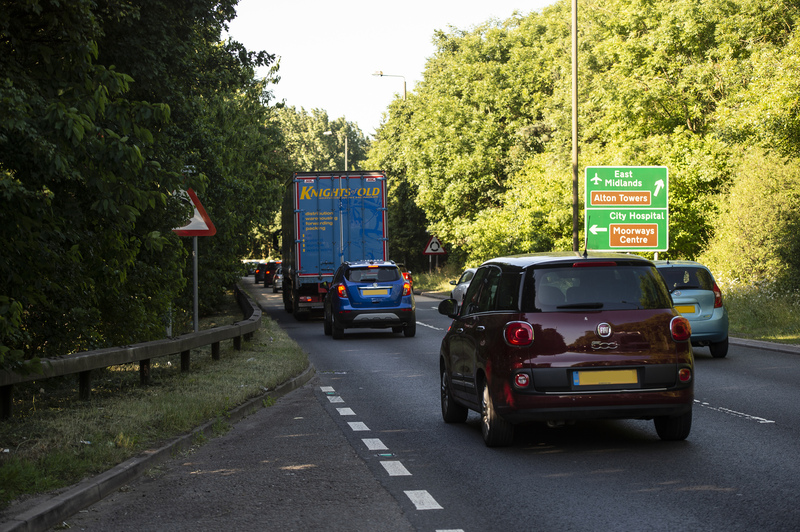 We are improving the three existing roundabout junctions at A38/A5111 Kingsway, A38/A52 Markeaton and A38/A61 Little Eaton. 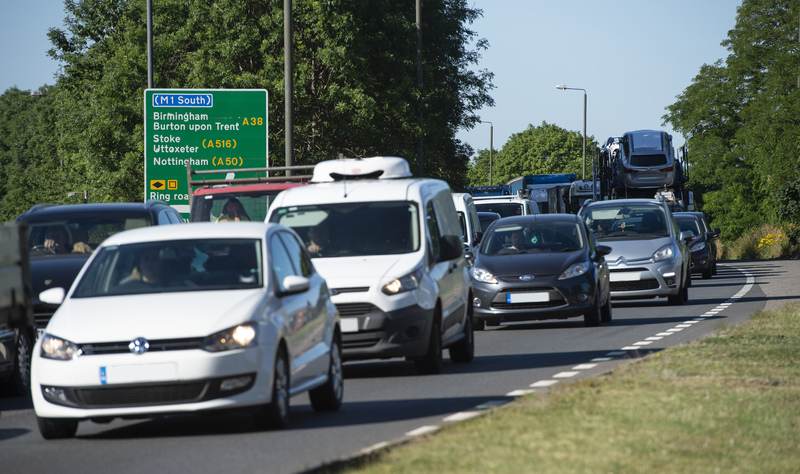 The statutory public consultation for the A38 Derby Junctions scheme started on 7 September 2018. It ran for six weeks, closing on 18 October 2018. In the days leading up to the start of the consultation, we wrote out to people living within 500 metres of the road. We also placed adverts in a number of papers (local and national press) to ensure that local people were aware of the consultation. Now that the consultation has closed we’ll analyse your feedback, consider all of the suggestions made, and respond in the report that we will prepare on the consultation. The views you have provided will help the Secretary of State for Transport make a decision on our application. 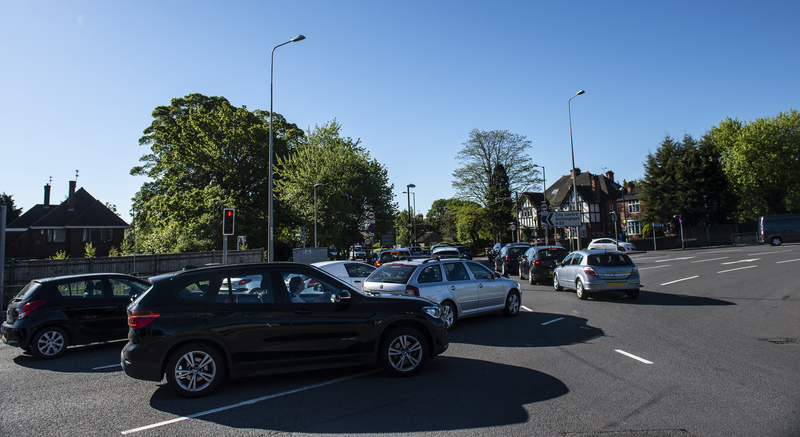 The Kingsway, Markeaton and Little Eaton junctions on the A38 currently suffer from heavy congestion. 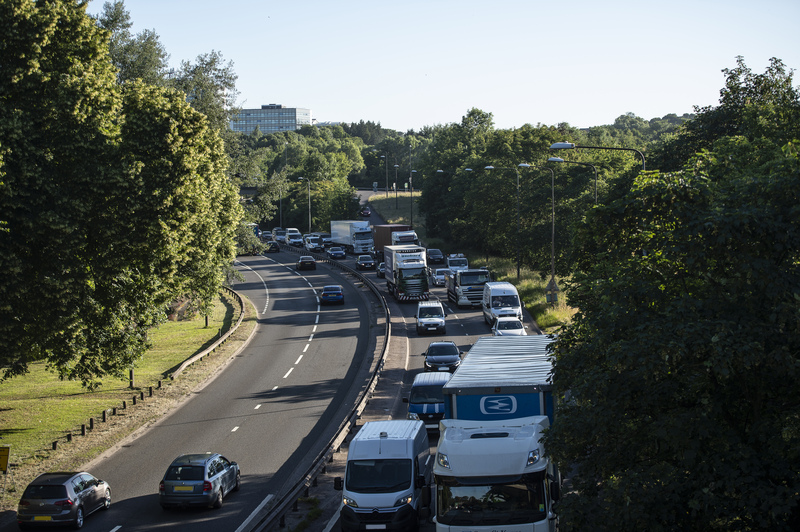 We are making improvements to these junctions to relieve this congestion. 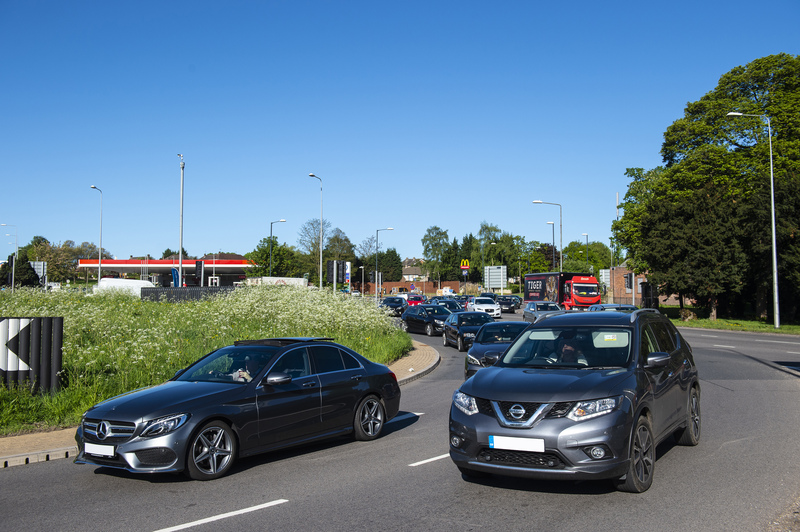 Sometimes the development of one of our road improvement schemes creates an impact on the properties of people living along or close to the route of the scheme. There are a number of examples where this may be the case – for instance, the sale value of a property may be adversely affected by the change in the environment around it. This could be because of additional noise from a new road, or a significant change in view from the property. Location : The A38 northbound between the A61 Derby and the junction with the A610 . Reason : Roadworks are planned. Status : Pending. Schedule : Expect disruption everyday between 20:00 and 06:00 from 29 April 2019 to 4 May 2019. Schedule : Expect disruption everyday between 20:00 and 06:00 from 7 May 2019 to 11 May 2019. Lanes Closed : All lanes will be closed. Location : The A38 southbound between the junctions with the A516 and the A50 . Lane Closures : Lane one will be closed. Reason : Horticultural works are planned. Status : Pending. Schedule : From 20:00 on 28 April 2019 to 05:00 on 29 April 2019. Schedule : From 20:00 on 30 April 2019 to 05:00 on 1 May 2019. Schedule : From 20:00 on 7 May 2019 to 05:00 on 8 May 2019. Lanes Closed : There will be one of two lanes closed. Location : The A52 westbound between the M1 and the junction with the A5111 . Lane Closures : Lane one will be closed. 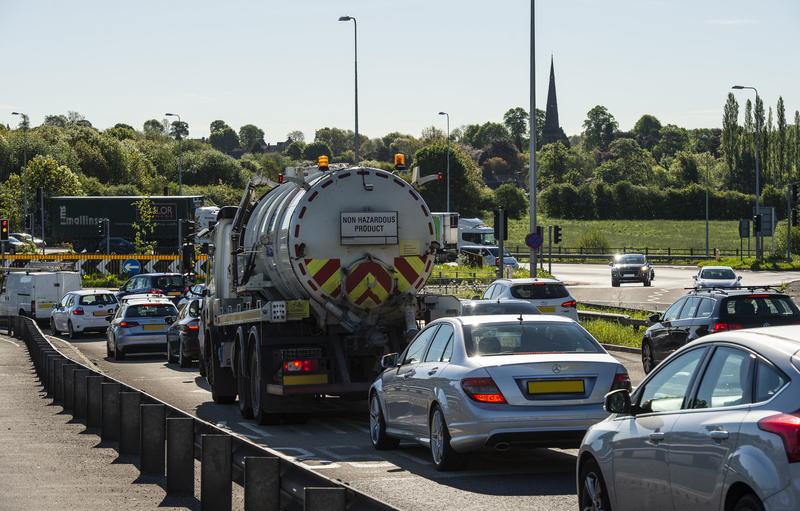 Reason : Emergency roadworks are planned. Status : Pending. Schedule : From 20:00 on 29 April 2019 to 06:00 on 30 April 2019. Schedule : From 20:00 on 9 May 2019 to 06:00 on 10 May 2019. Schedule : Expect disruption everyday between 20:00 and 06:00 from 13 May 2019 to 18 May 2019. Schedule : Expect disruption everyday between 20:00 and 06:00 from 20 May 2019 to 25 May 2019. Lanes Closed : There will be one of two lanes closed. Location : The A38 northbound between the junctions with the A50 and the A516 . Lane Closures : Lane one will be closed. Reason : Horticultural works are planned. Status : Pending. Schedule : Expect disruption everyday between 20:00 and 05:00 from 27 April 2019 to 29 April 2019. Schedule : From 05:00 on 7 May 2019 to 05:00 on 8 May 2019. Lanes Closed : There will be one of two lanes closed. Location : The A38 southbound between the junctions with the A52 and the A5111 . Lane Closures : Lane one will be closed. Reason : Horticultural works are planned. Status : Pending. Schedule : From 20:00 on 28 April 2019 to 05:00 on 29 April 2019. Schedule : From 20:00 on 30 April 2019 to 05:00 on 1 May 2019. Schedule : From 20:00 on 7 May 2019 to 05:00 on 8 May 2019. Lanes Closed : There will be one of two lanes closed. Location : The A38 southbound at the junction with the A5111 . Lane Closures : Lane one will be closed. Reason : Horticultural works are planned. Status : Pending. Schedule : Expect disruption everyday between 20:00 and 05:00 from 27 April 2019 to 29 April 2019. Schedule : From 05:00 on 7 May 2019 to 05:00 on 8 May 2019. Lanes Closed : There will be one of two lanes closed. Location : The A38 northbound between the junctions with the A50 and the A5111 . Lane Closures : Lane one will be closed. Reason : Horticultural works are planned. Status : Pending. Schedule : Expect disruption everyday between 20:00 and 05:00 from 27 April 2019 to 29 April 2019. Schedule : From 05:00 on 7 May 2019 to 05:00 on 8 May 2019. Lanes Closed : There will be one of three lanes closed. Location : The A38 northbound between the A516 and the junction with the A52 . Lane Closures : Lane one will be closed. Reason : Horticultural works are planned. Status : Pending. Schedule : Expect disruption everyday between 20:00 and 05:00 from 27 April 2019 to 29 April 2019. Schedule : From 05:00 on 7 May 2019 to 05:00 on 8 May 2019. Lanes Closed : There will be one of two lanes closed. Location : The A38 northbound between the A61 Derby and the junction with the A610 . Lane Closures : Lane one will be closed. Reason : Horticultural works are planned. Status : Pending. Schedule : From 20:00 on 28 April 2019 to 05:00 on 29 April 2019. Lanes Closed : There will be one of two lanes closed. Location : The A38 southbound between the junctions with the A5111 and the A50 . Lane Closures : Lane one will be closed. Reason : Horticultural works are planned. Status : Pending. Schedule : From 20:00 on 28 April 2019 to 05:00 on 29 April 2019. Schedule : From 20:00 on 30 April 2019 to 05:00 on 1 May 2019. Schedule : From 20:00 on 7 May 2019 to 05:00 on 8 May 2019. Lanes Closed : There will be one of three lanes closed. Location : The A38 southbound between the junctions with the A5111 and the A516 . Lane Closures : Lane one will be closed. Reason : Horticultural works are planned. Status : Pending. Schedule : From 20:00 on 28 April 2019 to 05:00 on 29 April 2019. Schedule : From 20:00 on 30 April 2019 to 05:00 on 1 May 2019. Schedule : From 20:00 on 7 May 2019 to 05:00 on 8 May 2019. Lanes Closed : There will be one of two lanes closed. Location : The A52 westbound between the junctions with the M1 and the A5111 . Lane Closures : Lane two will be closed. Reason : Emergency roadside drains works are planned. Status : Pending. Schedule : From 20:00 on 26 April 2019 to 05:00 on 27 April 2019. Lanes Closed : There will be one of two lanes closed. Location : The A38 northbound between the A61 Derby and the junction with the A610 . Reason : Roadworks. Status : Currently Active. Period : from 18:21 on 4 March 2019 to 06:00 on 11 May 2019. Location : The A52 westbound entry slip from the A5111 . 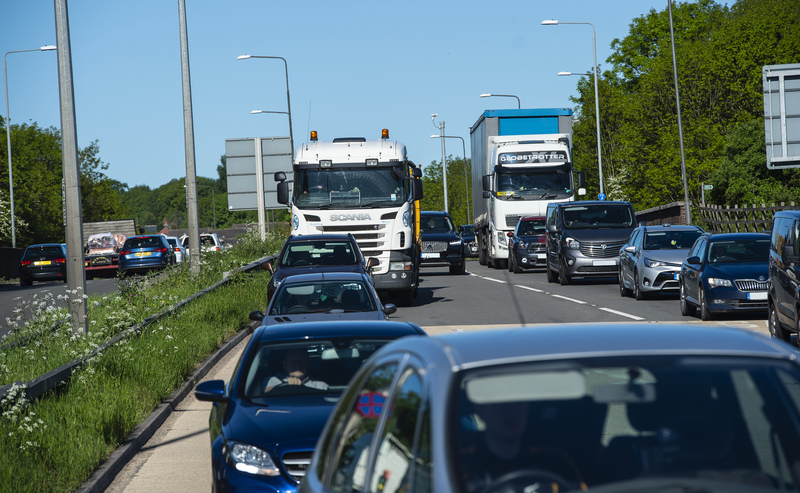 Reason : Emergency roadworks are planned. Status : Pending. Schedule : From 20:00 on 29 April 2019 to 06:00 on 30 April 2019. Schedule : From 20:00 on 9 May 2019 to 06:00 on 10 May 2019. Schedule : Expect disruption everyday between 20:00 and 06:00 from 13 May 2019 to 18 May 2019. Schedule : Expect disruption everyday between 20:00 and 06:00 from 20 May 2019 to 25 May 2019. Lanes Closed : All lanes will be closed.